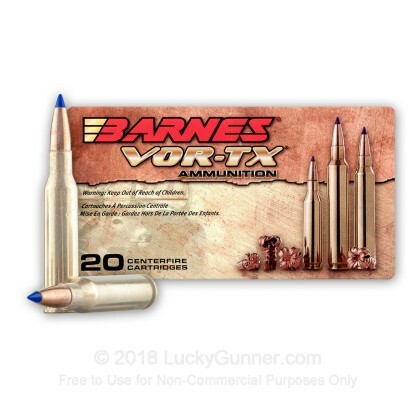 Bring down deer and other game quickly and cleanly with this Barnes VOR-TX ammunition. 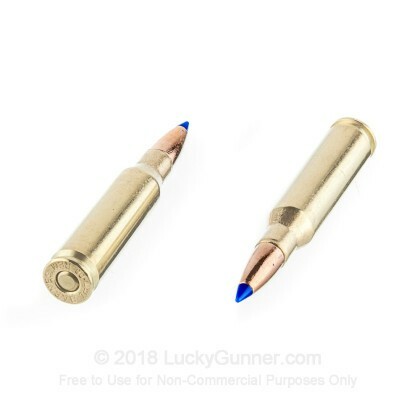 These 7mm-08 Remington cartridges are loaded with the Barnes TSX bullet, a solid copper design that expands into four sharp petals upon contact with your target. The TSX bullet's monolithic construction eliminates core-jacket separation issues and provides maximum weight retention. To alleviate fouling and chamber pressures, the projectile has a grooved shank that absorbs expanding material when the cartridge is fired. 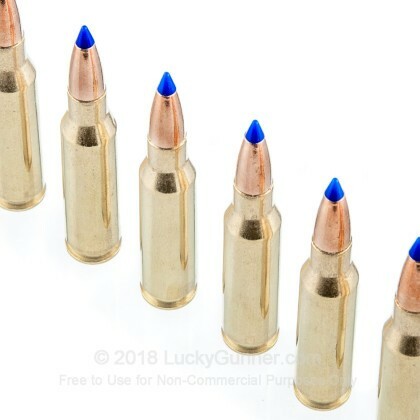 Each round in this box of 20 propels a 120 grain bullet to a muzzle velocity of 3,005 feet per second. 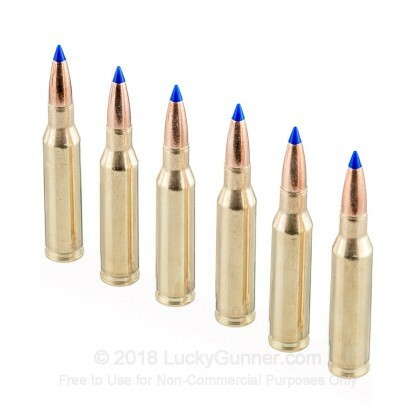 In keeping with the 7mm-08's reputation, it delivers flat trajectories, moderate recoil, and excellent terminal performance. Barnes ammunition is loaded in Mona, Utah, using non-corrosive Boxer primers and reloadable brass cases. The company produces a variety of bullets and loaded ammo but is best known for its solid copper projectiles such as the TSX and TAC-XP. 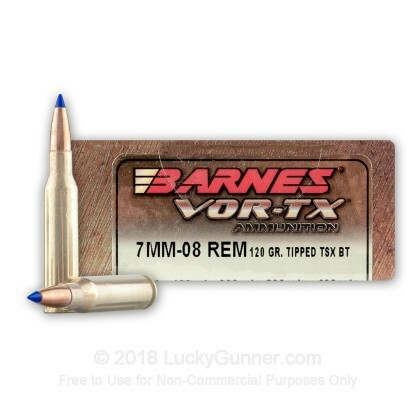 We don't have any reviews yet for this particular 7mm-08 Remington ammo from Barnes. 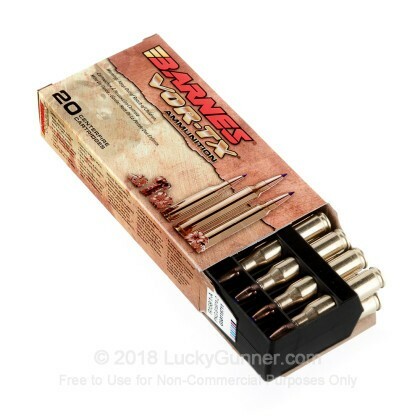 If you'd like to be the first to review this particular 7mm-08 Remington ammo from Barnes, fill out the form below.